Ok so slightly different sort of post for me, but if you follow me on instagram you probably already know that I’ve just finished my photography course. And over the last few months taking that night class has taught me so much about not only my camera’s manual settings, studio lighting but also composition. But it’s just the start really and I think with something like photography, you’re learning all the time. So since I’m a fan of nice, easy ‘how to’ guides, I thought why not share a few on photography? Now, I’m by no means an expert, but hopefully you’ll get something from these simple tips and techniques. 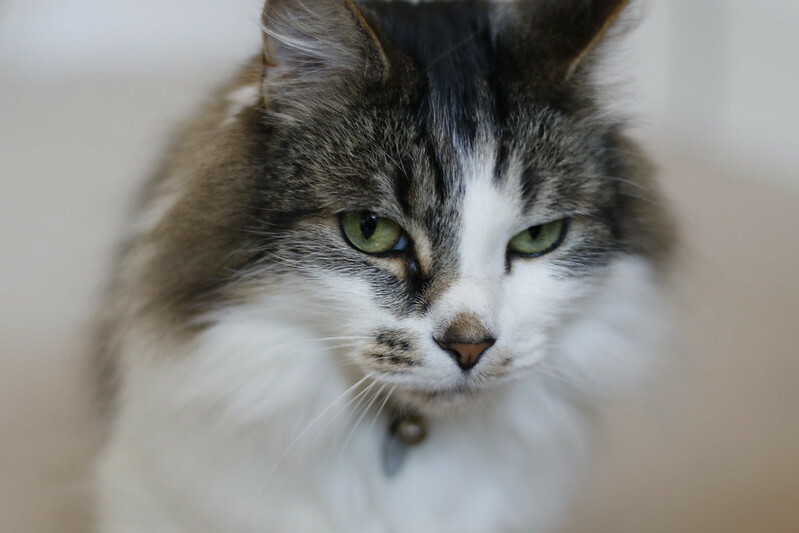 As set of photography tips, I’ve teamed up with Pets At Home (and of course Bosson’s little furry fella, Tino) to share some hints and tips for taking nice animal photos. 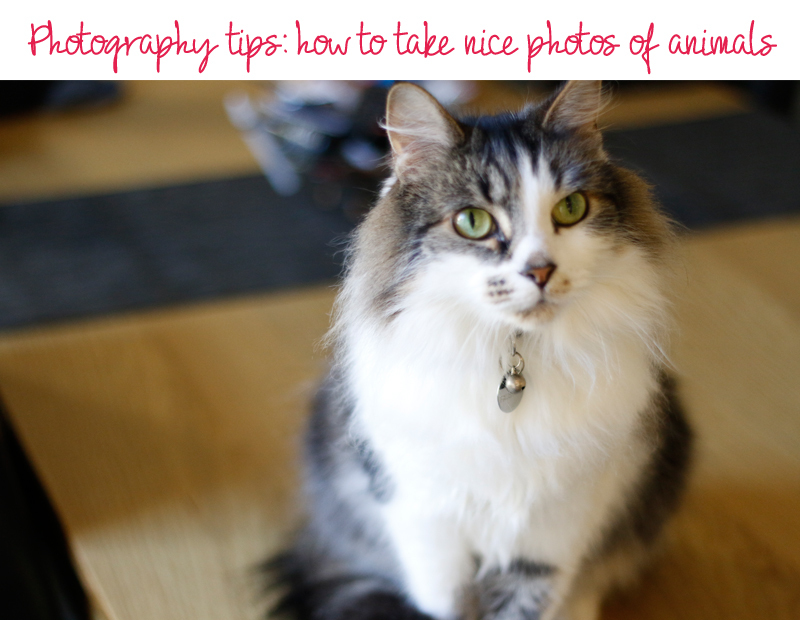 Hopefully they’ll give you a little guidance to help you take great photos of your pets! Every good photographer knows that good lighting is everything. Natural light is more flattering no matter what your subject, so shooting at the brightest point at the day is always going to give you the best results. That being said, golden hour (the time just after sunrise and just before sunset when the light is soft and redder than the rest of the day) can give you some great effects. You don’t need to always have a bright image if your focus is sharp, so you can use your aperture and your shutter speed to create a darker sort of image. As a quick recap, your shutter speed and aperture both control the amount of light that enters the lens. Your aperture is adjusted using your f-stop (or f-number), and the higher the number, the more closed the lens and the less light getting into it. Similarly, the faster your shutter speed, the less light that can get into the lens. 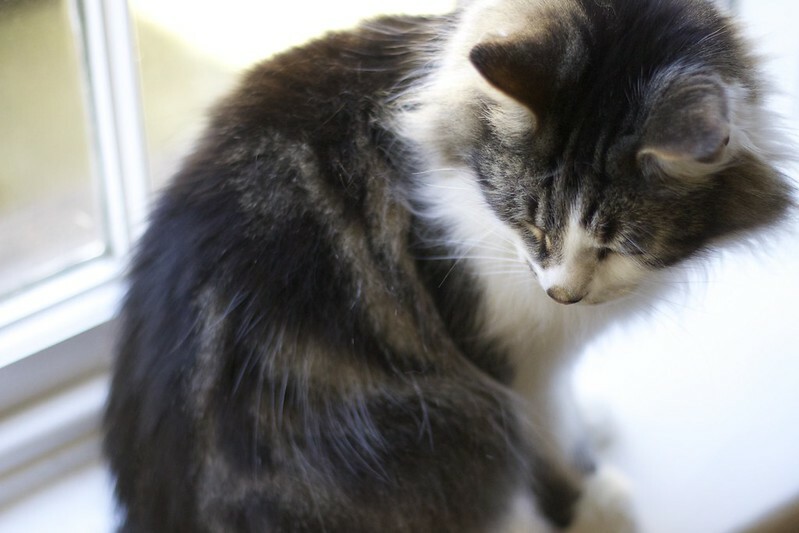 For the photo below, Tino wasn’t in direct sunlight but the room was quite bright. With a high f-stop and a faster shutter speed, I was able to create a darker more shadowy image. At all costs though, try to avoid flash. Flash will bleach your colours and it’s a particularly a bad idea with animals, because the reflectiveness of their eyes will make them look like aliens. It’s also likely to startle the animal… and let’s be honest, that’s not going to make a great picture. Animals generally don’t sit still, which can make them a pretty hard subject to shoot. Whether they’re distracted while you’re trying to shoot photos or you’re trying to get an action shot, a slight blur or softness can add to you photo. But the trick is not to just get a completely blurred image. Switching your AF settings from single or one shot to continuous focus can make all the difference. Continuous autofocus or AI Servo AF if you’re using Canon (or Continuous-servo AF if you’re a Nikon user), means your camera will keep tracking moving targets up until the point where your shutter-release button is pressed all the way down. If you want to get mega technical, AI Servo works by predicting where your subject will be slightly in the future, based on estimates of the subject velocity from previous focus distances. Making it more likely for you to be able to capture a nice sharp image. The crop of your photo can be key to how attractive it is. Understanding about framing images and learning the rules of things like the rule of thirds or golden ratio and the Fibonacci spiral. The idea (if you don’t want to get lost in a load of articles) is that you don’t place the point of focus in the centre of the frame because it’s not where people’s eyes are naturally drawn. Instead you use the off centred eye of the Fibonacci spiral as the point of interest. So you can see in the shot above, that although Tino’s face isn’t in the centre of the frame, it’s still the main point of focus. While using composition techniques like the rule of thirds and golden ratio are good guides and create really interesting shots, they are just guides. But by thinking about these rules, you’re making more considered decisions about how you frame your photos. So even if when you understand the rules, you decide to break them, you’ll still be thinking more about where you’re placing your subject in the frame and why. Which of course is going to help you take better photos. Depth of field has to be one of the biggest buzz phrases in photography right now. Especially where blogging is concerned. In case you’ve been wondering what everyone is going on about, depth of field is the range of sharpness around your subject. A wider A narrow depth of field (the most popular in blogging) is where your subject remains razor sharp but your background drops out to a nice desirable blur. The effect is created using the low f-stop numbers (so your aperture is wider open). It’s great for fashion blogging because it means when you’re shooting outside or in a crowded area, the eye isn’t distracted by the background. Likewise, it’s great for food and products, because it keeps the focus on the main object you’re photographing. 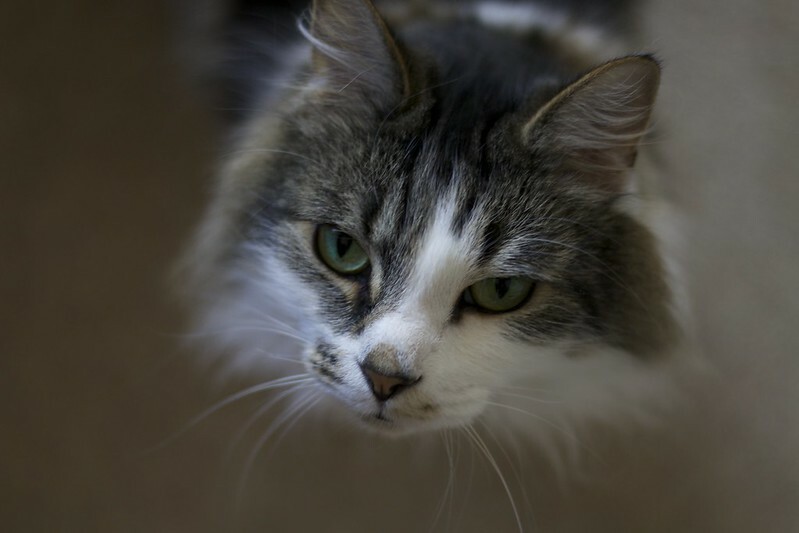 Much like with portraits, a narrow depth of field can create a lovely focus on pets by creating a nice soft edge. This is particularly effective if your subject has a big fluffy coat like Tino. Everyone has a good and a bad angle. Animals are really no different. By experimenting with angles and where you’re shooting your pet from, you can create a whole range of different effects. A lot of animal photography is shot at eye level, and getting down to your pet’s level can be a great way of getting their personality across. Since they’re looking up slightly at the camera, you’ll get a cute, big-eyed shot of them. You’ll get the same sort of effect from a higher level (whether that’s human or more of a bird’s eye view). Lower angles (like with people) can also create a pretty powerful images. You’re placing your subject in a more authoritative position so they’re looking down into the lens. It’s a more dramatic image and can be an interesting perspective to play with. There’s no real rules with angles so it’s a great thing to have fun with and play around with the different effects you create. While I’ve kind of focused more on pet photography for this post, the tips are pretty universal for any subject. So hopefully it might come in handy for whatever you want to shoot! Like most art, your technique doesn’t need to follow all the rules to be great. It’s all about your eye. There’s not a set sort of style that everyone will love, but you can learn the aesthetics of what makes a good picture and apply those principles to help improve your eye. It’s all about experimenting.. which of course is all part of the fun! N'awww Tino is bloody lush. Alfie wouldn't site still for love nor money. Thanks for the tips Hannah.